Since we are up at Mt. Bachelor checking out the mountain and the city of Bend for upcoming posts. We thought it would be fitting to highlight a unique event coming up in the region. The U.S. Bank Pole Pedal Paddle is just around the corner. Started by Jenny and Dave Sheldon back in 1975 they wanted to bring a multi-sport event that that they had seen in their original town of Jackson Hole, Wyoming. Thirty two years later this gathering has grown bigger and has found a huge following. 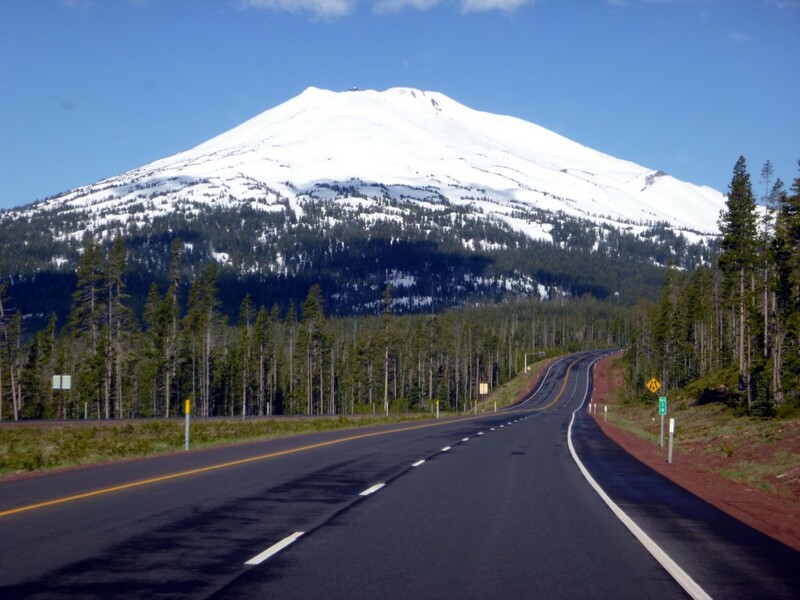 The road to Mt Bachelor is beautiful any time of year but in spring the contrasts of green and white are breathtaking. Winter clinging to life on top of Mt Bachelor. This leg starts at the top of Mt. Bachelor’s Red Chair, sprinting uphill then skiing down the LeeWay run. The XC is an 8 km skate ski and goes to Mt. Bachelor’s Nordic Lodge parking area. Biking consists of a 22 mile beautiful ride into Bend along Century Drive. This leg is a 5 mile, single track trail run along the Deschutes River and starts at the Athletic Club. The water portion goes upstream, then downstream, then upstream again. The sprint goes under the Columbia Bridge and finishes the race at the arena in Les Schwab Amphitheater. If you are anywhere near the Pacific Northwest we urge you to stop by have a local micro beer from one of the many amazing breweries and cheer these people on. If you are more into being an active participant check out the registration link below.